Home is very clean and move-in ready! 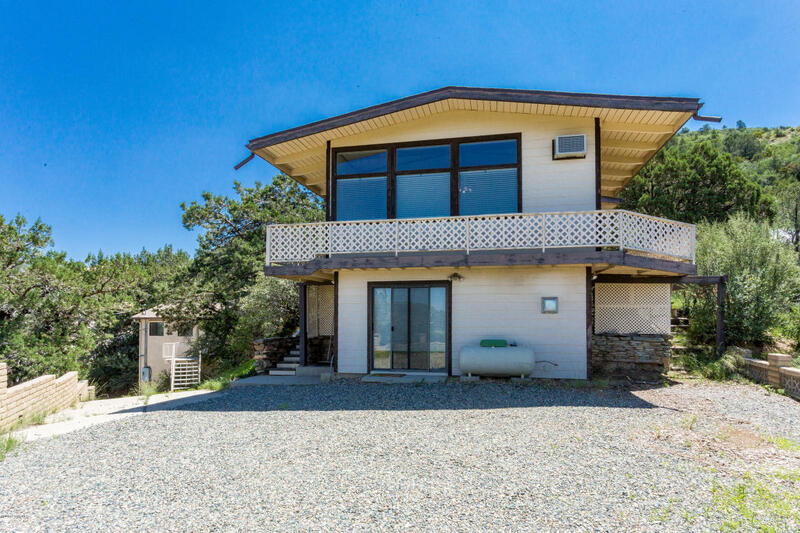 Main home is on upper level where you can relax on the balcony and enjoy amazing views of the Prescott National Forest. Sit out under the covered shelter in the yard and sip your coffee or entertain in the outdoor sitting area. Bedrooms, kitchen, and bath are upstairs, so you can live entirely on the upper level. Spiral stairs lead lead down to a single room with a woodburning stove that could be a rec room, guest room, or office. Workshop/storage area above the 1-car detached garage.